What if your canvas was limited only by what you could conceive? What would happen if you turned away from inhibitions and tapped into imagination? The York Art Association invites you to discover yourself through art. 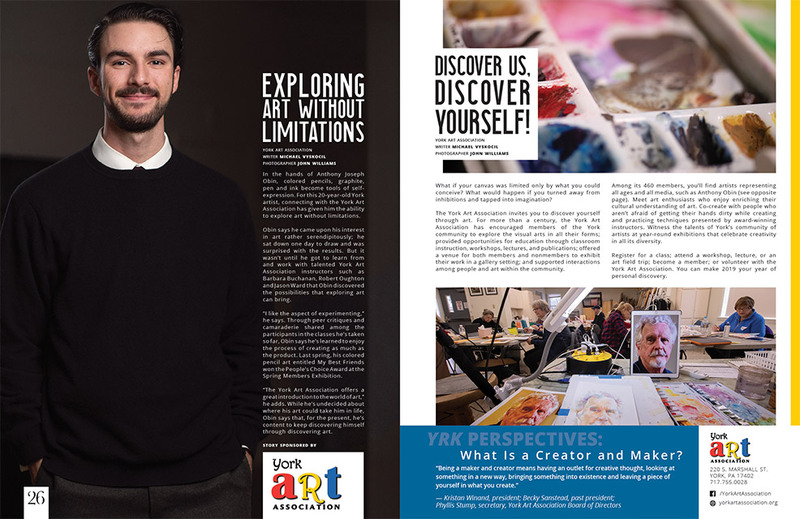 For more than a century, the York Art Association has encouraged members of the York community to explore the visual arts in all their forms; provided opportunities for education through classroom instruction, workshops, lectures, and publications; offered a venue for both members and nonmembers to exhibit their work in a gallery setting; and supported interactions among people and art within the community. Among its 460 members, you’ll find artists representing all ages and all media, such as Anthony Obin (see opposite page). Meet art enthusiasts who enjoy enriching their cultural understanding of art. Co-create with people who aren’t afraid of getting their hands dirty while creating and practicing techniques presented by award-winning instructors. 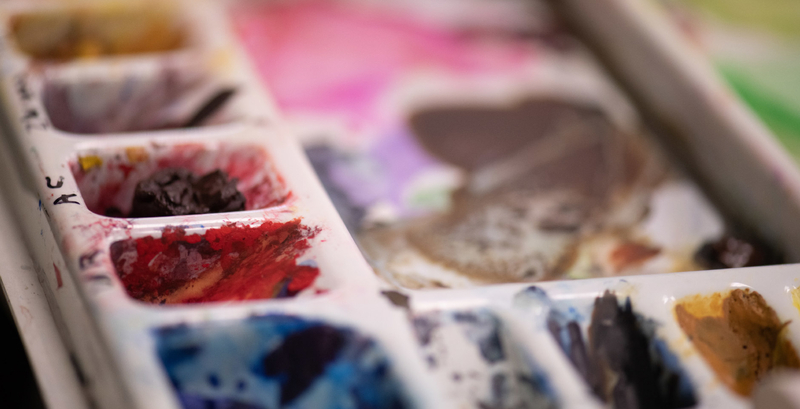 Witness the talents of York’s community of artists at year-round exhibitions that celebrate creativity in all its diversity. Register for a class; attend a workshop, lecture, or an art field trip; become a member; or volunteer with the York Art Association. You can make 2019 your year of personal discovery.